King’s Transfer Van Lines is here to make your move to Canada from the USA smooth, efficient, and hassle-free. 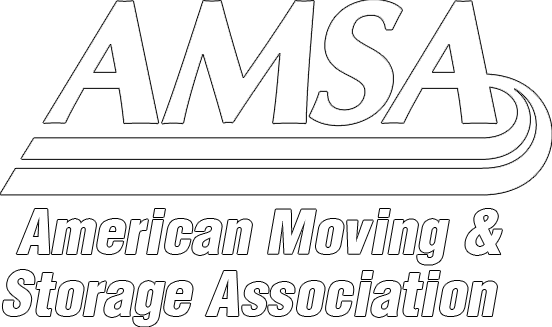 Our US to Canada moving company can help you pack, transport, and unload your belongings whether you’re moving from Detroit, Buffalo, Rochester, or another US city. We’re knowledgeable of the complex rules and regulations that coincide with cross-border moves, and we’re prepared to navigate these on your behalf. When you’re moving to Canada from the USA, you can trust King’s Transfer to get the job done right. Although the formal clearance of a household goods shipment is done in person at a Canada Customs facility in or near the destination city, Canada Customs at border entry points have recently started requesting that the moving company (van operator) present a copy of the passport and work visa for the owner of the goods. Despite the documentation requirements upon entry, the mover is still not permitted to deliver your personal possessions to your new home until the owner of the goods meets their moving representative at the Canada Customs’ facility closest to your final destination city to personally clear your shipment. Assigning a 3rd party person to clear on your behalf may be rejected by customs. When your shipment arrives in Canada, your van operator will contact you to advise where to meet in order to clear the bond on your shipment. You will need to bring the following documentation with you to customs. Contact our US to Canada moving company to ask any questions that you may have, or to start the process for your cross-border move. In the event that there is any duty, fees or taxes owing to Canada Customs, you will be required to pay before the goods are released for delivery. Cheques, cash, Visa or MasterCard are accepted. Returning Canadian residents will be required to pay duty/taxes on any one single item purchased outside of Canada with a value of $10,000 or more (including an automobile). Any goods declared as new goods will be subject to duty and tax. Please note that for insurance purposes, alcoholic beverages cannot be transported on the moving van alongside your household goods. If you intend to import the contents of a bar or wine collection, you must contact the appropriate Canadian provincial or territorial Liquor Control Board authority before you ship these items as the duties and taxes must be paid PRIOR to presenting yourself at Canada Customs to make your personal declaration. To obtain release of the shipment in Canada, you must produce proof that these duties and taxes have been paid to the Provincial government. Ask your King’s Transfer Van Lines representative for your provincial Liquor Control Board authority contact information. To import your vehicle to Canada, you must contact the RIV to ensure your vehicle is admissible. You will need to contact the “Registrar of Imported Vehicles” (RIV) in Canada at 1-888-848-8240 (US and Canada). You will need to provide the RIV with the year, make/model and vehicle identification number to determine if your vehicle is eligible for importation into Canada. RIV’s web site has step-by-step instructions, fees, and a list of vehicles that can be modified to Canadian standards. In addition to the certification from RIV, you will also need to produce your title documents (ownership certificate), sales receipts (bill of sale), registration and proof of insurance documentation. Note: If you are going to be in Canada for 36 months or less, you are exempt from the RIV certification but you must notify US Customs on the export of your vehicle(s). See below for more details. Canada has very strict laws regarding firearms. All gun owners living in Canada must obtain a firearms “Possession and Acquisition” (PAL) license. If you are moving to Canada and plan to import any firearms, you need to be aware of the regulations and procedures that are in place. Dogs over eight months of age and cats over three months of age must have a current proof of rabies vaccination (within 36 months prior to entering Canada) and the vaccination certificate must accompany the animal. King’s Transfer Van Lines Inc.